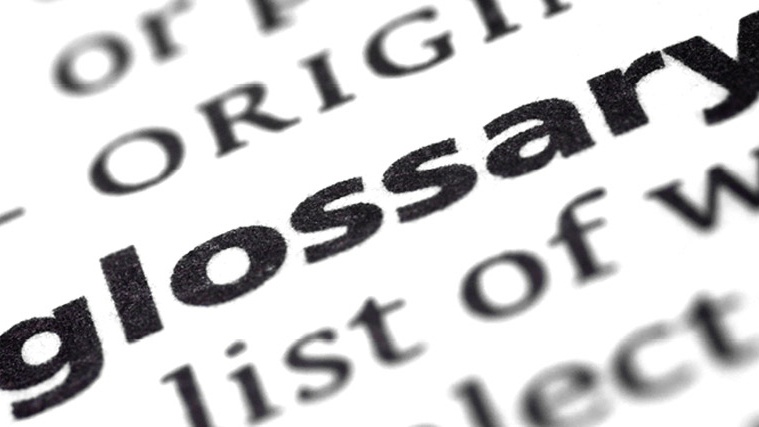 Photoshoots come in all stripes; commercial, architectural, interior, studio, portrait, lifestyle, food, product, landscape, fine art, here is a glossary of terms and phrases common in editorial photography. Photoshoots commissioned by others might start with a pre-production discussion, meeting or walk through. This discussion will make the photoshoot run smoother, with all parties knowing the scope of the shoot, what needs to be in place or prepared for in advance. For many photo shoots, a shot list will be prepared identifying the number of photos, the angles and styling needed, the formats the photos will be. Interior, architectural and product photography sessions might need photo staging or styling, which bring additional items to the shoot. A photo stylist uses an artistic eye to select items and place them within the compositions. A good photo stylist has an understanding of how the “lens sees” objects within compositions. The stylist also needs to have an aesthetic point of view in line with the look and feel that is sought after by the client, the photographer and the publication. It is common for a professional stylist to spend extensive prep time before the shoot sourcing and acquiring items for a shoot, then being part of the shooting session, and finally spending time on returns. Rental fees are often charged for the styling items, and are billed at cost along with expendables (i.e. food and florals). A commercial photo shoot is often a team affair starting with the photographer. Other team members vary by project and may include a photography producer, who coordinates the team to work within the time period and to the scope of the shoot, and makes sure the details are being addressed. Many photographers work with a photo assistant to care for the equipment and be an added hand on set. A digital tech might be used to save the digital photos and maintain the archive digital state of the art professional photography is dependent upon. A photo stylist might be present to make adjustments to the objects within the photo and bring additional props and florals to the shoot. When models or people are a major part of a photo session, hair, makeup and wardrobe assistants may also be needed. A digital capture is the taking of a photo or sequence of photos that will become the final photo. Most professional photos undergo a photo post-production phase where the “raw” photo taken in the camera is adjusted with software programs, such as Photoshop. In post-production, the photo can undergo adjustments to the exposure, removal of unwanted items, along with the enhancement of color and saturation to the final photo. Two most common digital file formats for digital photography are JPEG and TIFF. The size of a photo file determines how much information is in the photo file – traditionally, JPEGs are smaller, intended for web use, while TIFF files are most often large, used for print and publishing needs. The need to see digital photos in the future is dependent on the archive of the photo file on a computer, hard drive or cloud storage provider. 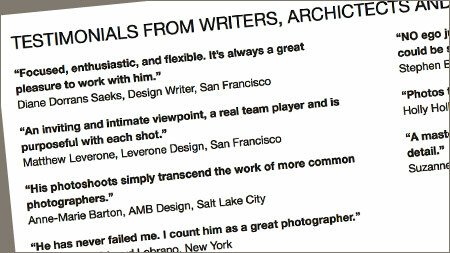 Shelter magazines publish stories about home design and architecture. The Editor in Chief directs the content of the magazine and can be assisted by a Features Editor, Market Editor, Regional Editor and Scout. A blogger or online publisher also acts as an editor, deciding which projects to publish and the nature of the content to be published. Others involved with creating magazines include the graphic designer and photo editor. Magazine stories fall into a number of categories, including front of the book, round-up feature, well and end piece. A popular way to include photos in a magazine is the “photo spread”, a two page wide placement of a photo, without borders or text. Then there’s the “full page bleed”, when a photo is published without page borders. A “type overlay” is when captions, headlines or cover line are placed on top of the photo. The aspect ratio is the width and height of a photo, and is determined by the size of the printed page or the size of the image on web pages. The term “color gamut” or “color space” refers to the ability to reproduce colors found in nature on the printed page or digital screen. An editorial pitch is made to an editor when submitting a project to a publication for hopeful inclusion. The hook is what might make the story or feature idea resonate with an editor and readers. The narrative is how the project unfolds in words and photos.